We are delighted to be recognised as a ‘Top Tier’ firm in The Legal 500, 2018-19 edition. The firm received a ‘Top Tier’ ranking for Sport. Senior Partner, Mark Loosemore was also recognised as a ‘Leading Individual’ in Sport. Partner – Karl Thomas, Consultant – Michael Culley and Solicitor – Rebecca McCarthy have also been recognised as ‘Recommended Lawyers’ for sport by The Legal 500. “Loosemore handles a raft of work for the Football Association of Wales (FAW) and as well as advising on a plethora of commercial agreements in the lead up to the UEFA Champions League Final played at Cardiff in 2017. The firm has retained its ‘Top Tier’ ranking for Media and Entertainment. Media consultant Sara Griffiths also retained her ranking as a ‘Leading Individual’ for Media and Entertainment in Wales. Sara is the only solicitor in Wales with this accreditation. Mark Loosemore was recognised as a ‘Recommended Lawyer’ for Media & Entertainment. 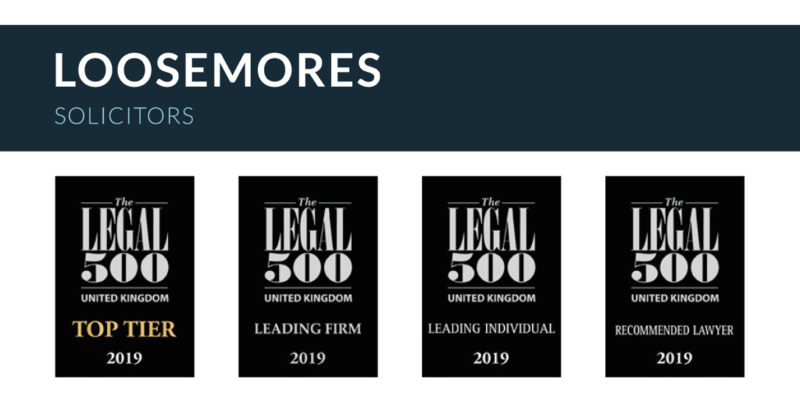 “The responsive and diligent team at boutique firm Loosemores Solicitors provides a very commercial approach to clients across a range of matters, including film and television production and funding agreements, and sports media agreements. Mark Loosemore has vast experience in contract negotiations, particularly as it relates to media and data rights agreements in the sports industry. We would like to thank our clients for all their continued support.